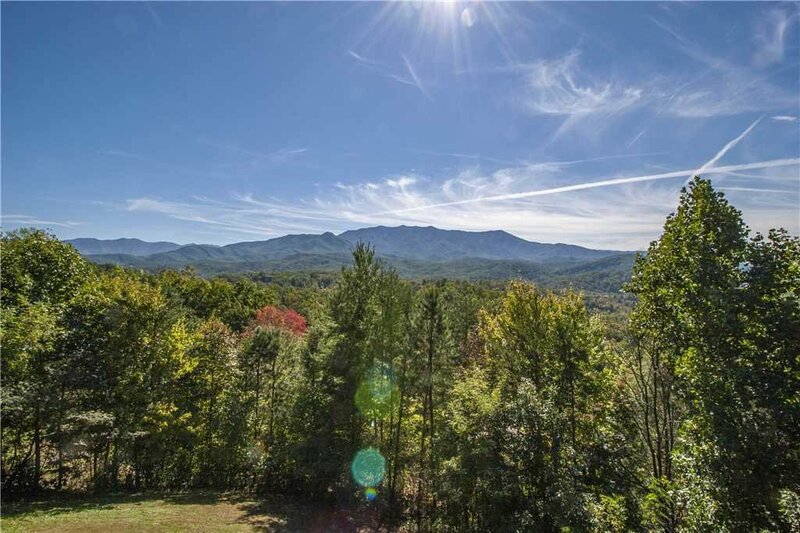 Sweeping views of the Smokies from Mt. 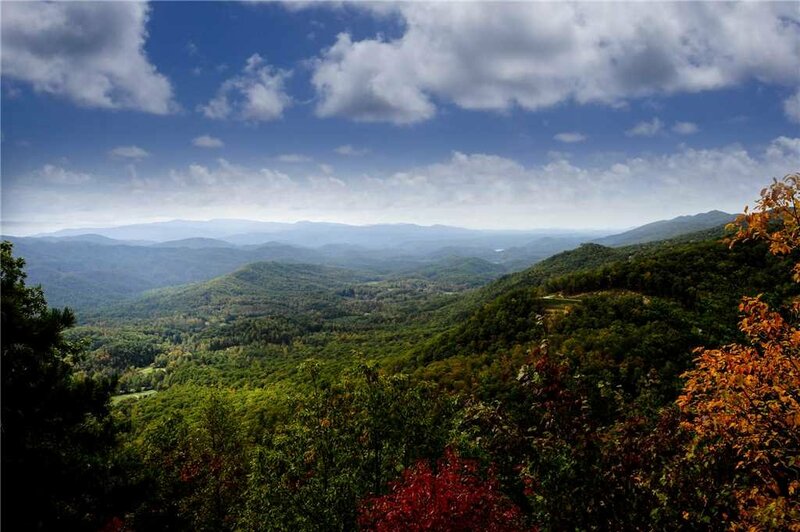 Cammerer to Mt. 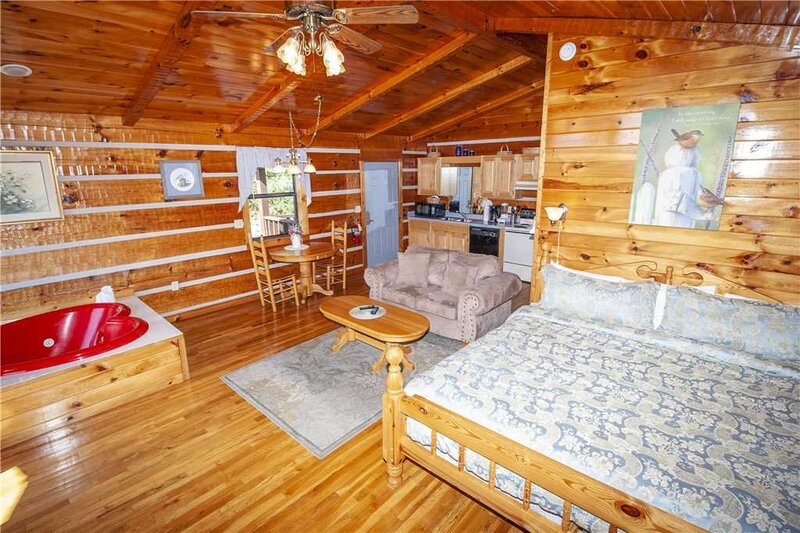 Harrison greet you from the balcony of this cozy clifftop cabin. 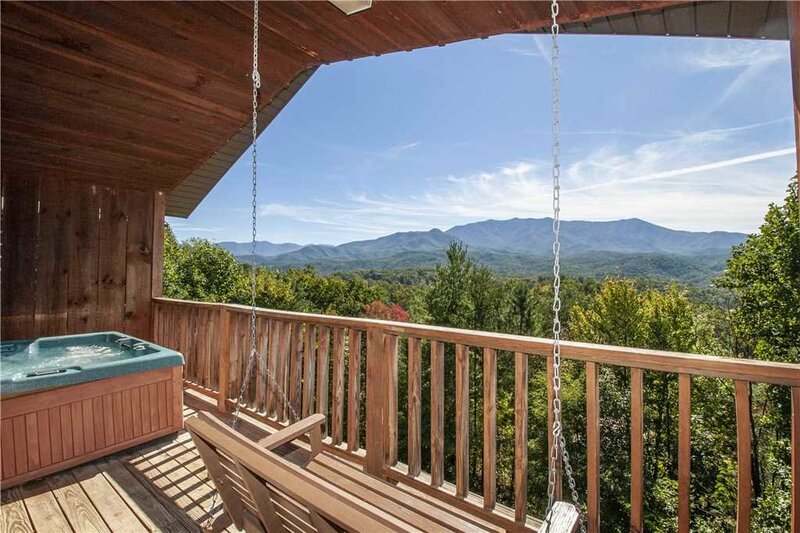 Pamper yourself here with a hot tub, Jacuzzi, porch swing, fireplace, and more. 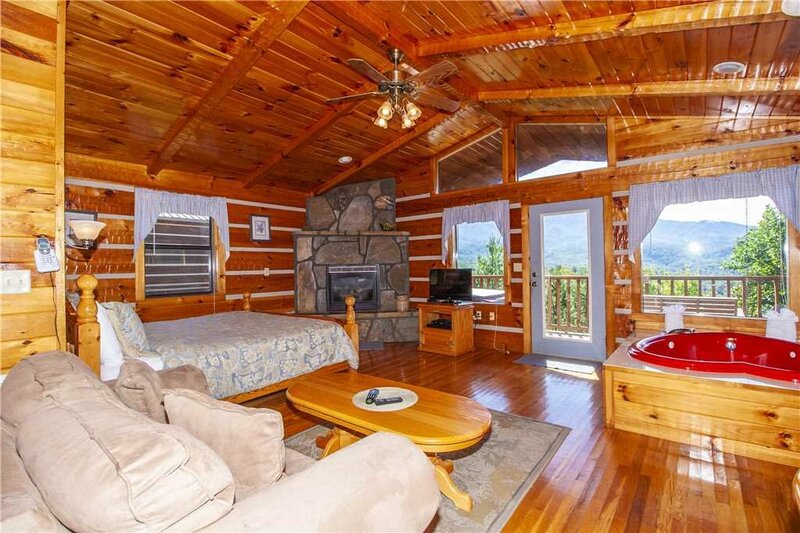 Love Me Tender earns its name with all its sweet features, from the cherry-red, heart-shaped Jacuzzi to the heavenly king-sized bed set beside a handsome stone fireplace. 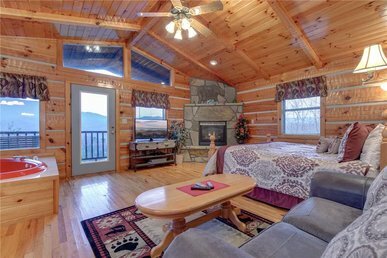 This cabin is one large room with a bathroom and a long deck, creating a sense of coziness just perfect for the two of you. 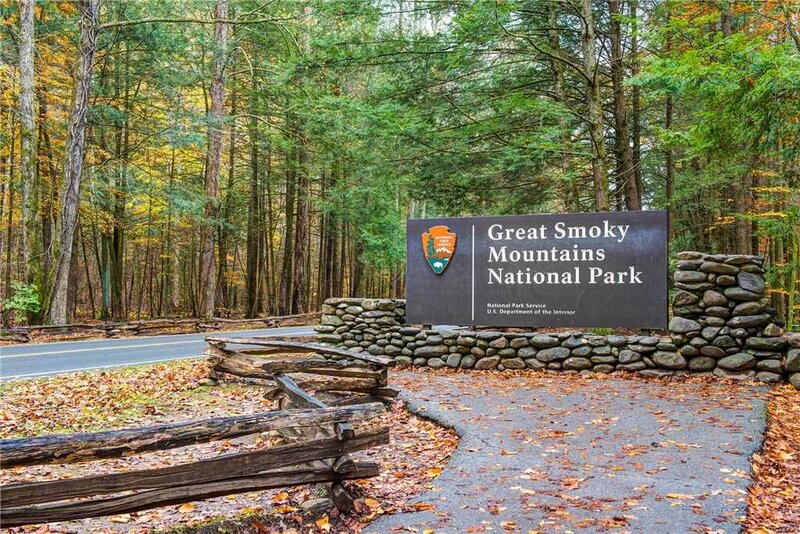 And the location is absolutely unbeatable: just minutes from downtown Gatlinburg, less than a half hour from the Great Smoky Mountains National Park, and front-and-center to the Tennessee side of the mountains! 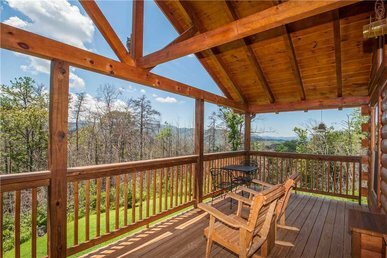 Step into the cabin and find yourself among gleaming, smooth natural wood floors, walls, and vaulted ceiling, with lovely clerestory windows and views in three directions. 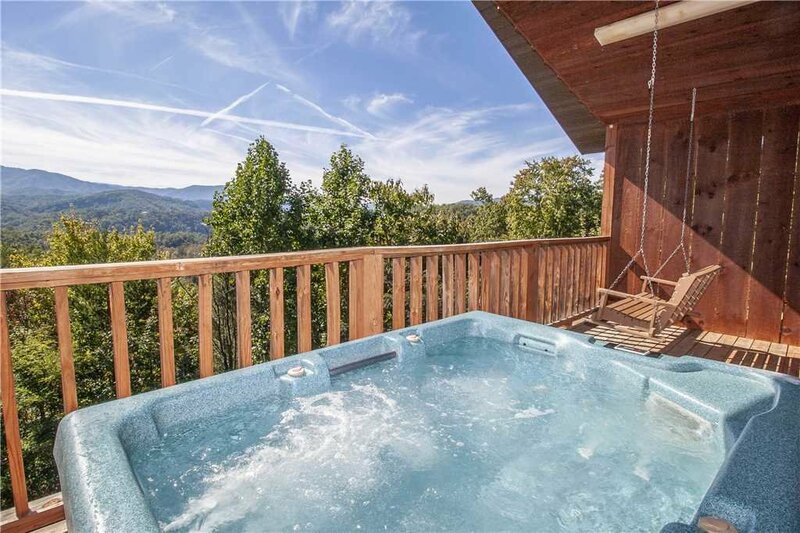 The deck runs the length of the cabin and includes a porch swing for two and a bubbly, relaxing, entirely private hot tub. 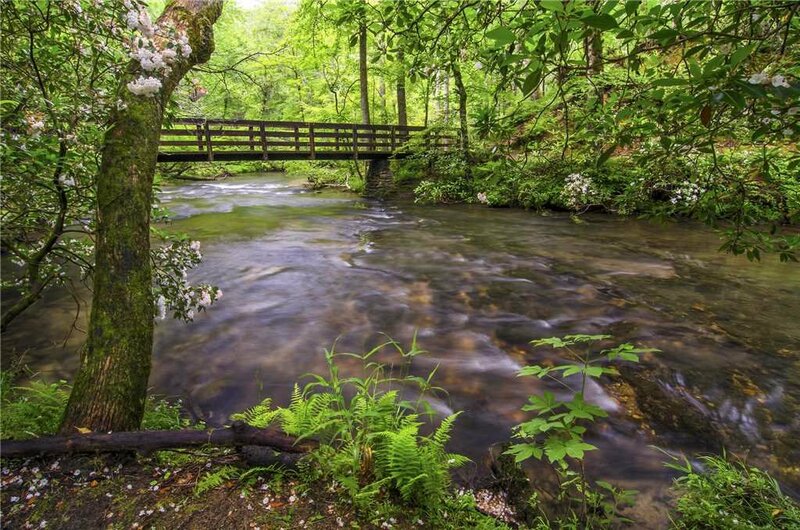 Imagine enjoying the sweet mountain air while jetted streams massage the tension out of your muscles! Now this is really heaven! 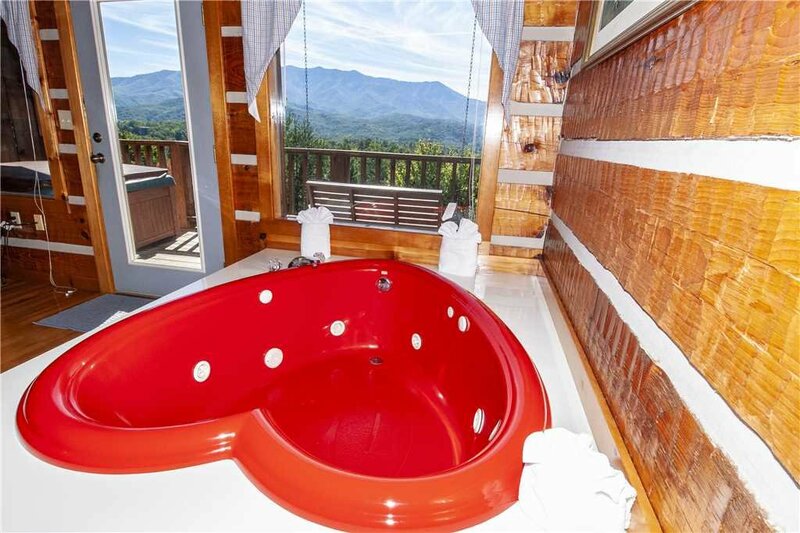 The inside of Love Me Tender is just as appealing as its awe-inspiring balcony. 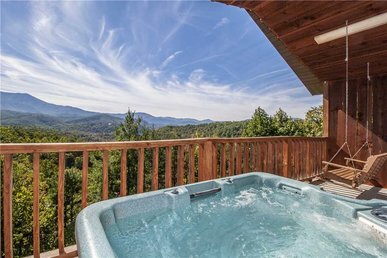 A charming Jacuzzi sits beneath several big windows, for those chilly nights when you want a little hydrotherapy without venturing outdoors into the elements. A bistro table beside a long window offers splendid morning views of birds and trees. 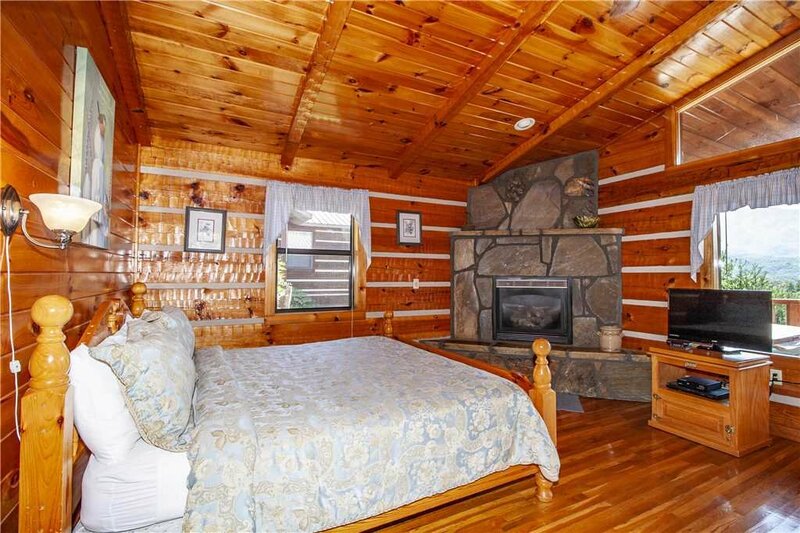 And the stone hearth contains a gas fireplace that will complete the snug warmth of this modern-day log cabin! 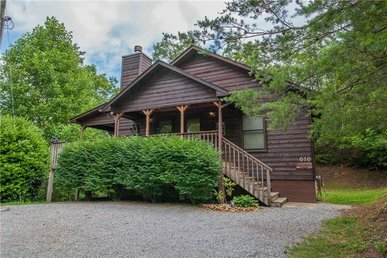 Despite its rustic look, Love Me Tender is quite up-to-date. 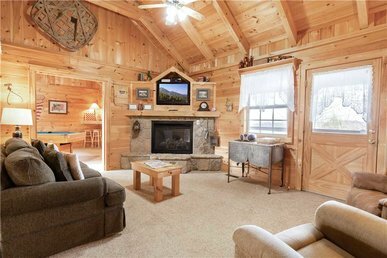 The large TV offers satellite channels and includes a VCR. 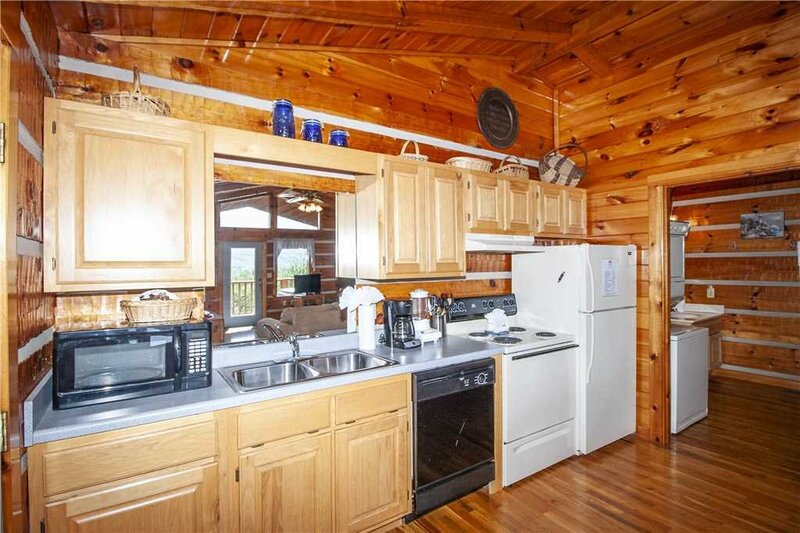 The kitchen is thoroughly stocked with dishes, utensils, cookware, and chef's gadgets. Full-sized appliances await you in the spotless kitchen, as well as countertop time-savers such as a coffeemaker, microwave, toaster, and blender. 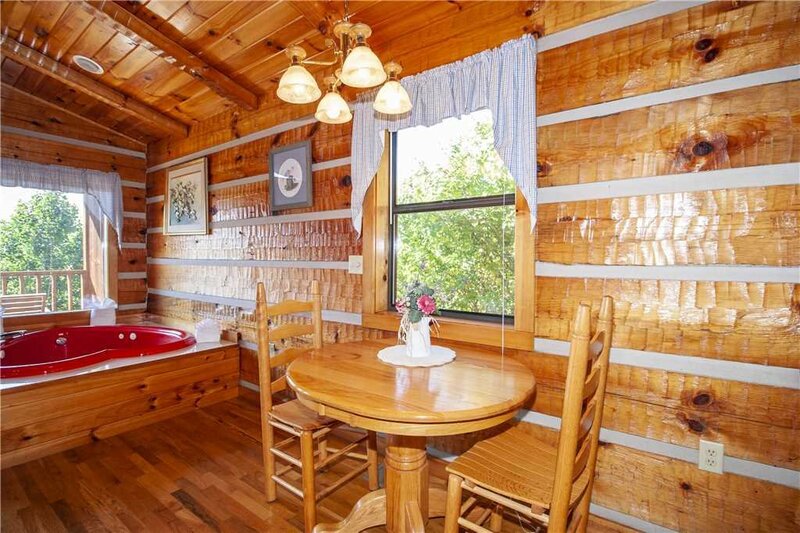 After a great night's sleep and late-morning lie-in, you'll want to dash out of the cabin to explore Gatlinburg, and this kitchen makes getting yourself fed and hydrated quick and easy! In addition to the hot tub and Jacuzzi, Love Me Tender includes a shower in the roomy bathroom, just right for a wake-up splash or a good scrub after playing in the parklands all day. 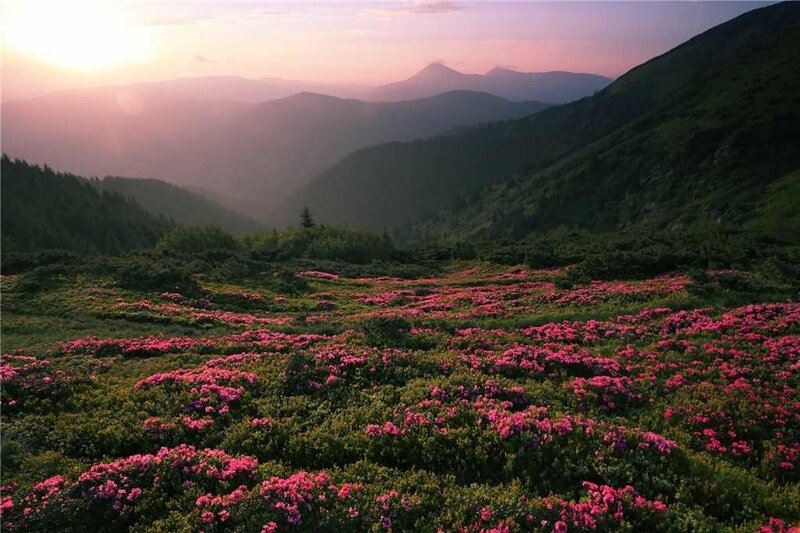 And your vacation duds are likely to get a bit of mountain on them as you explore the wildflower fields, waterfalls, meadows, and trails, so just pop them into the washer and dryer located right in your bathroom! 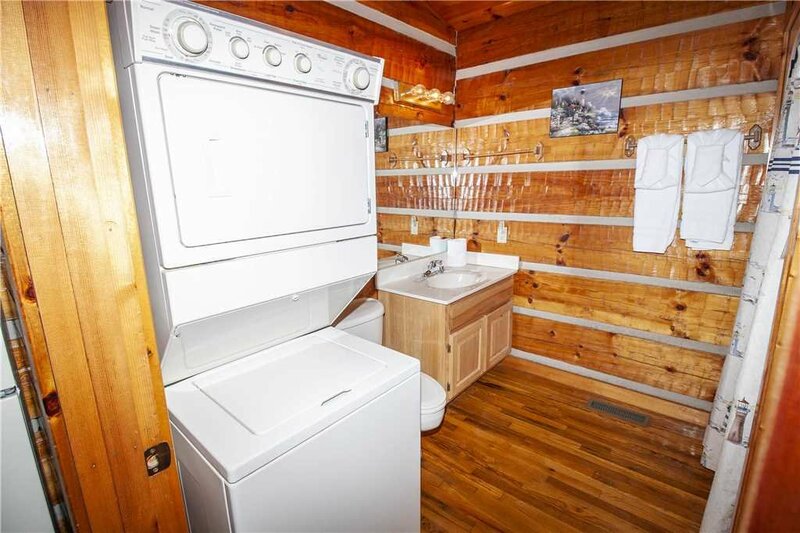 No matter the weather or your outdoor activities, you can always have fresh, clean clothes in a trice at Love Me Tender. 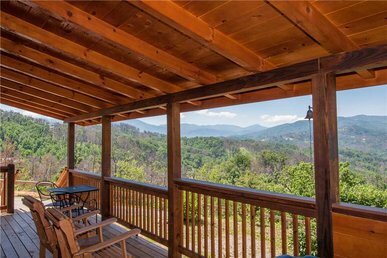 The location of this mountain cabin is ideal for birdwatching, nature gazing, solitude, and awesome beauty. 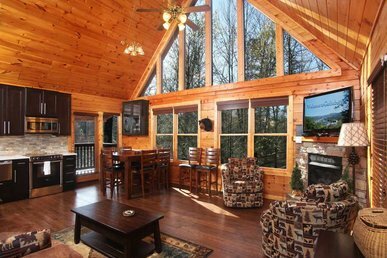 It's situated right next door to another two-person cabin, Sweet Heart, if you would like to travel with friends or family to Gatlinburg. 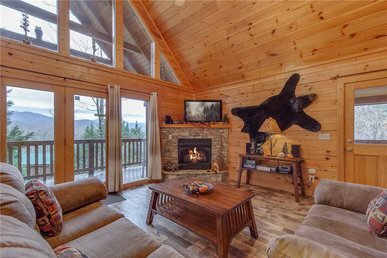 The arrangement could not be more convenient: each couple has total privacy when they want yet are only steps away when it's time to start a roaring fire and break out the cards for a game of Texas Hold 'em! 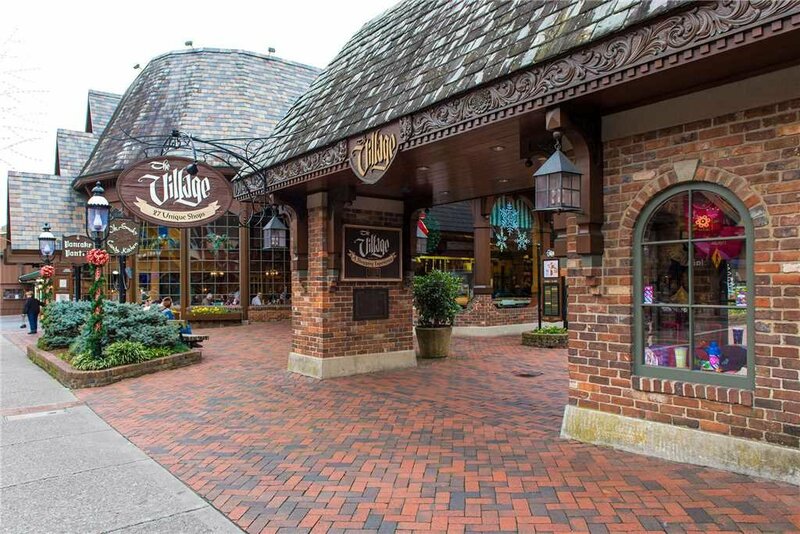 Gatlinburg has something for all ages and interests, from the outdoor paradise of the National Park to the exciting activities at Anakeesta (zip lining, a canopy walk, and more) to the restaurants and shops of the old-time Village in downtown Gatlinburg. 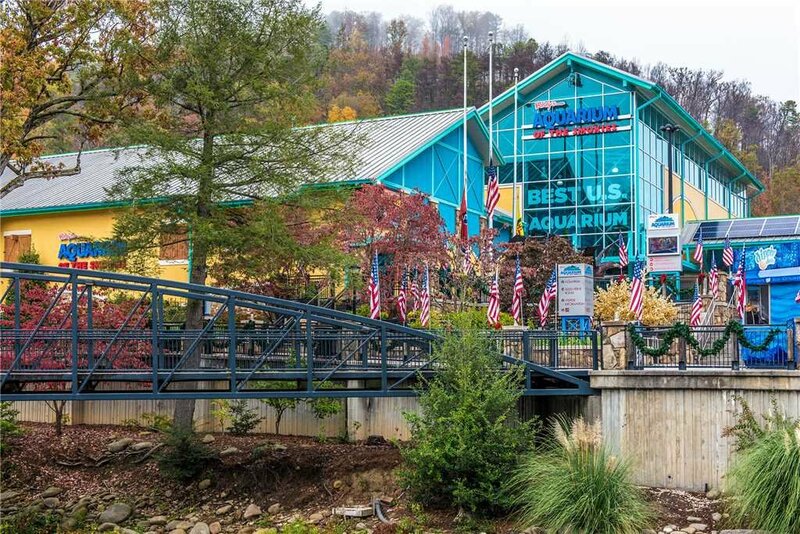 There's even a world-class aquarium just minutes from Love Me Tender! 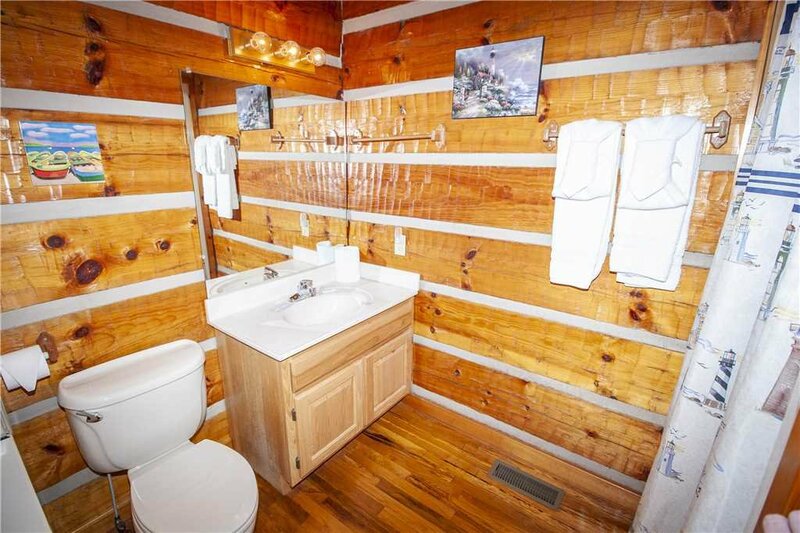 Of course, to enjoy all these things, you will have to leave the cabin, and that might be hard to do once you've become accustomed to the view. Book your stay at Love Me Tender today. 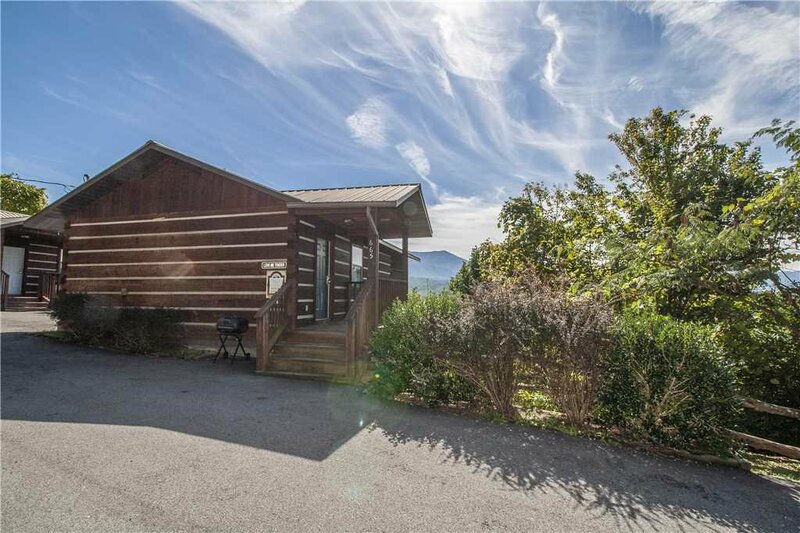 Its prime location and charming decor keep this cabin reserved well in advance, so find your perfect vacation date and begin planning the trip of your life now!